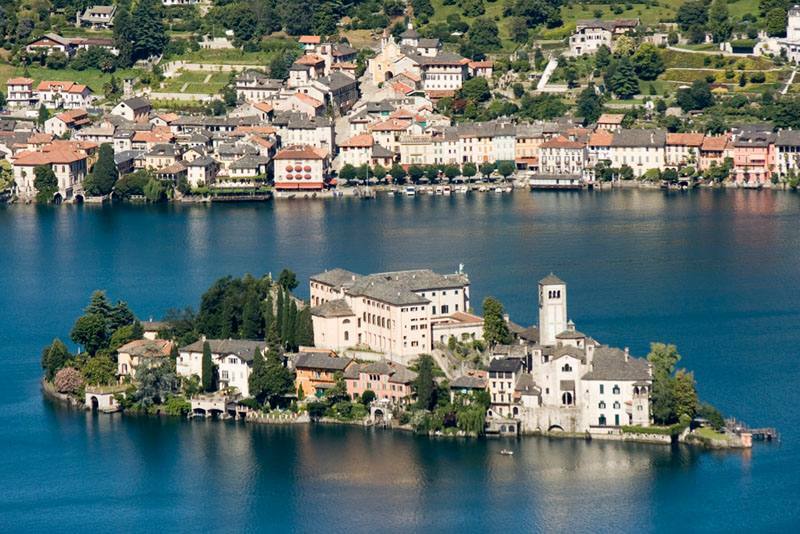 Lake Orta in Cusio is located west of Lake Maggiore. 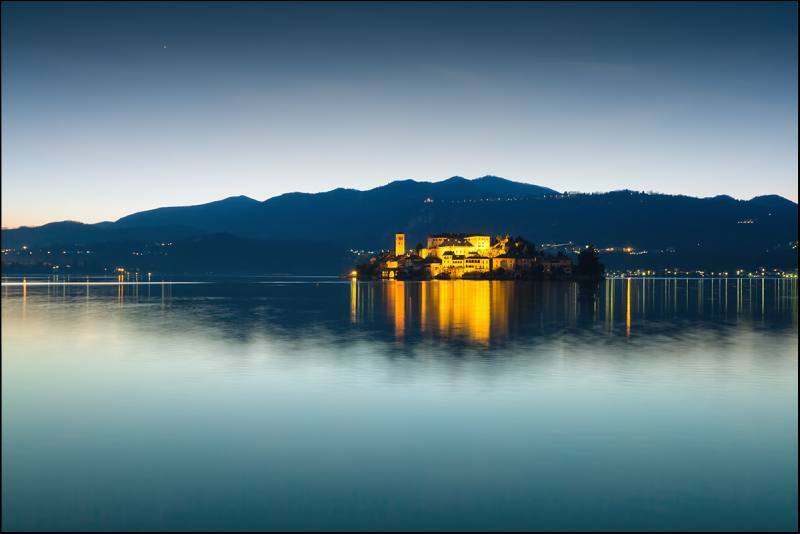 It is the furthest west of the Pre-Alp lakes in northern Italy and is entirely located in Piedmont. 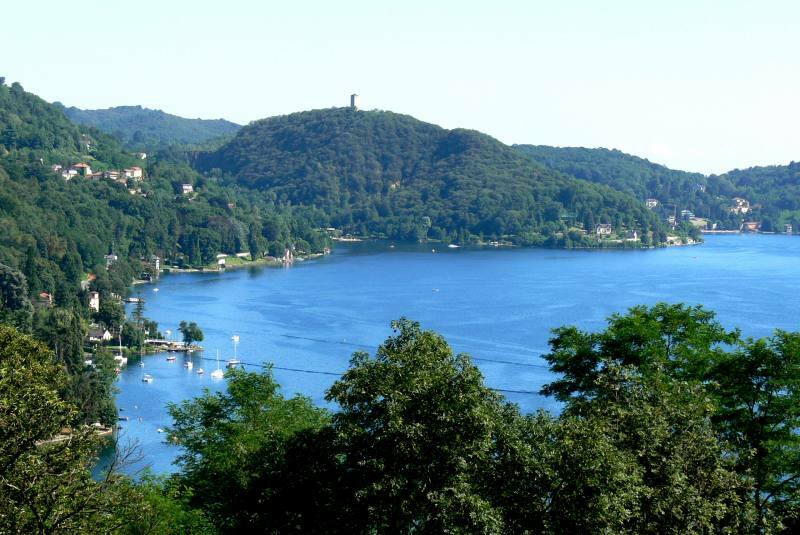 The west side has hills with gentle slopes separating it from Lake Maggiore and culminating at 1,491 metres asl on Mount Mottarone. The western shores are less accessible and steeper: hills here are replaced by the mountains in Strona Valley and nearby Sesia Valley. The lake occupies a surface area of 18.2 km2, is 13.4 km long (from north to south) and has a maximum width of 2.5 km. The lake is 290 metres asl and reaches a depth of 143 metres. Its only effluent Nigoglia is at the northern tip in Omegna. Strangely, it flows north (the only effluent of the Pre-Alp lakes to do so) where its waters join with those of the Toce River, which flows into Lake Maggiore. The climate here is mild, and the coasts and surrounding areas are picturesque and enriched with woods, cultivations and fervid industrial activity and tourism. 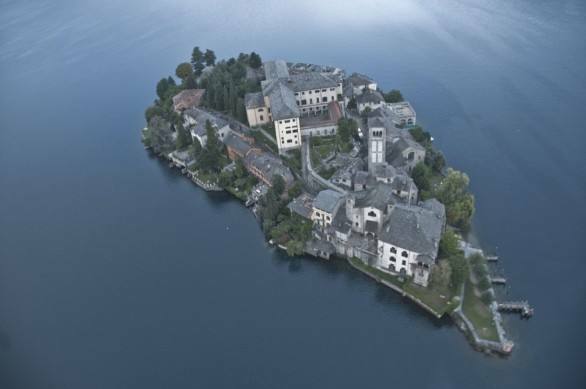 Today, the villages (generally quite historic) overlooking this body of water are grouped - from an administrative perspective - into the Province of Novara and the Province of VCO (Verbania-Cusio-Ossola) and report to Verbania. The village after which the lake was also named over time is in the middle section of the eastern shore; the lake was once called Cusio after the area it is located in. 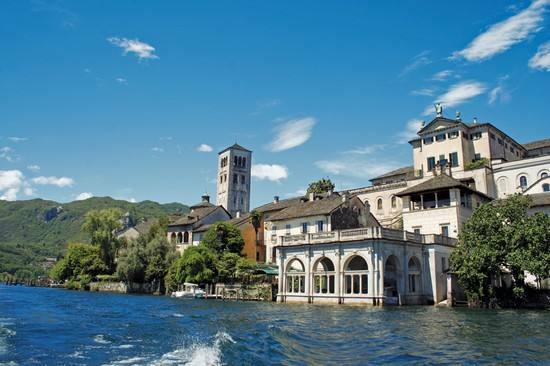 Orta San Giulio – a well-known romantic holiday destination - is dominated from behind by its Sacro Monte and the 20 chapels frescoed by Il Morazzone. 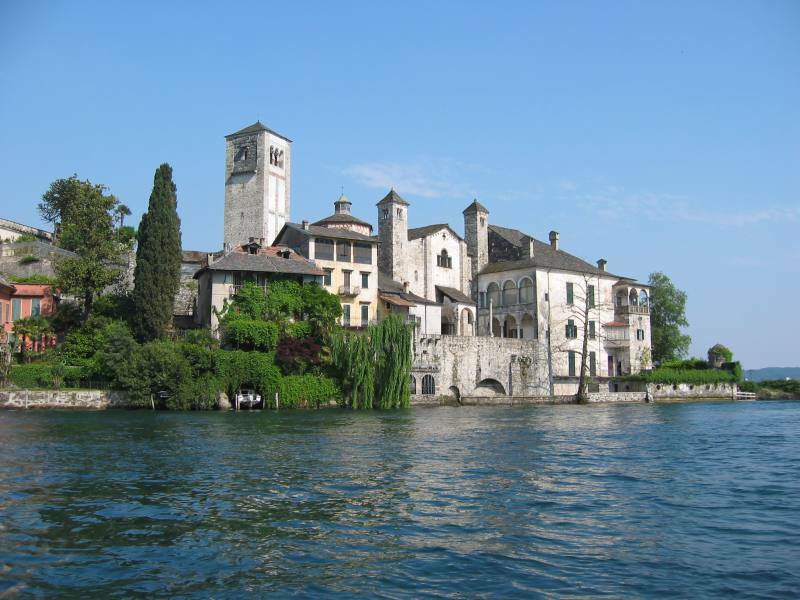 Facing it is Isola di San Giulio (Island of San Giulio), with its homonymous 4th-century basilica, which was rebuilt in the 9th and 11th centuries. Giulio and Giuliano came to the area preaching Christianity at the end of the 4th century, and stayed in these marvellous places forever, thus influencing art and history. The area’s ancient roots, its landscapes and picturesque villages have been a source of inspiration for authors, artists and directors but they haven't prevented these places from also first developing craft-related traditions followed by industrial ones. 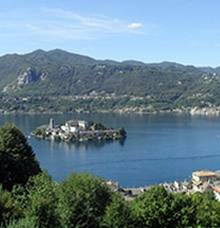 Standing out today are the district of household items in the area of Omegna at the north end of Lake Orta, and the district of the tap between San Murizio d’Opaglio and Gozzano.